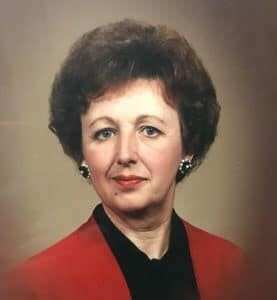 Sharlene Jane Gorden, age 80, of McMurray, PA went to be with the Lord on Tuesday, April 2, 2019 at Manor Care in Peters Township with her husband by her side. She was born on September 12, 1938 in La Porte, IN the daughter of the late Erwin and Edna Moeller. Sharlene was a graduate of La Porte High School. She was a member of the National Honor Society and the Swing Choir. She was in high school from 1952 – 1956. Sharlene then went to on to Valparasio University in Valparaiso, IN to fulfill her lifelong dream of becoming an elementary school teacher. She graduated in 1960. In September 1960, she started teaching fourth graders at Tenth Street School in La Porte, IN. Mrs. Gorden had nine wonderful years at Tenth Street School. She truly loved children and not only taught school, but did many extra things with the children. On June 13, 1964, Sharlene married Everett Gorden. Her class at school attended the wedding at St. Johns Lutheran Church. Everett was the son of Thurl and Grace Gorden. She and her husband moved to Baytown, TX in 1968 so her husband could help build a United States Steel Mill. He was the Safety Director of the steel mill. Sharlene continued her teaching in Baytown as a team partner in a kindergarten class with Sarah Tubbe. This was one of the first kindergartens in the state of Texas. Everett and Sharlene joined Redeemer Lutheran Church in Baytown. Her love for people and children was evident as she volunteered in many capacities at the church. Because of her work with the poor in Baytown and also her work with the youth of the church as a counselor, she was humbly honored as an Outstanding Women of America because of this work. While in Texas, Everett and Sharlene adopted a son named Matthew Andrew Gorden. They lived in Baytown for five years and then Everett was promoted to US Steel Supply Division in Chicago, IL. They lived in St. John, IN and joined Peace Lutheran Church. After Sharlene was asked to teach 3rd and 4th grade at their parochial school in Crown Point, IN. They lived in this area for seven years before Everett was promoted to Pittsburgh, PA as Corporate Safety Manager. Peace Lutheran Church welcomed the Gorden family. The Gorden family is now members of St. Paul’s Lutheran Church in Canonsburg, PA. Sharlene loved to volunteer and one of her favorites was volunteering for 20 years at the Trifle and Treasure Shop at Mayview Mental Institute. She truly loved mingling with the patients. She also volunteered for seven years with Meals on Wheels. Sharlene is survived by her husband Everett Gorden of 54 years, son Matthew Andrew Gorden, brother-in-law Neal Gorden and wife Sherry, nieces Debby Sprague of New Buffalo, MI, Amber Gorden of Bremen, IN, Crystal Lehman of Shipshewanna, IN and nephew Brett Wolfson of Chicago, IL. A gathering of family and friends will be held on Thursday, April 11, 2019 from 10 AM until the time of service at 12 PM at Pittsburgh Cremation and Funeral Care, 3287 Washington Road, McMurray, PA 15317, (724) 260-5546. In lieu of flowers, memorial contributions may be made to Dystonia Foundation, One East Wacker Drive, Suite 2430, Chicago, IL 30601. Mary - from dentist office . Everett- So sorry to hear of Sharlene's passing. She was such a nice person. Have missed her.